You may value alternative approaches to dispute resolution. If you want to use mediation or other alternative dispute resolution strategies, it is important for you to prepare for this experience. This may include working with a women’s legal advocate to make a safety plan that fits with your approach to dispute resolution. 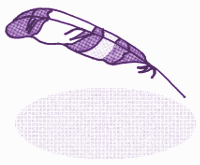 This eagle feather symbolizes our direct connection to the Creator for my people and I hold it in the spirit of the truth. There does not appear to be any precedent in Ontario for smudging in place of swearing or affirming to tell the truth, but if this is what you would like to do, you (or perhaps your advocate) could approach the court to ask. You would also have to find an Elder who would be willing to do this.